Check HERE for the superintendent’s message. 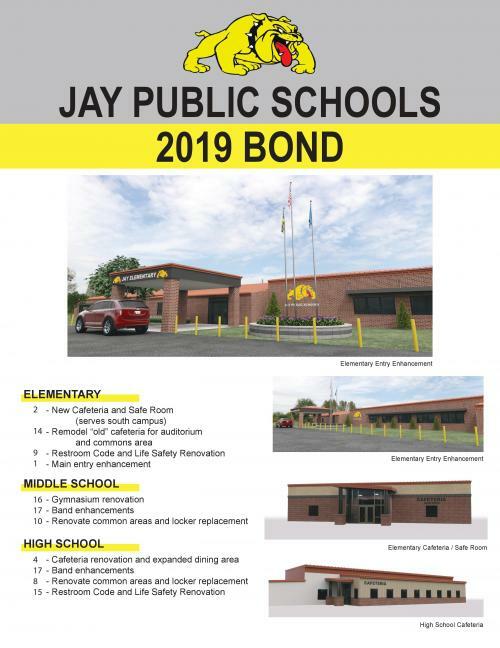 PLEASE SUPPORT JAY PUBLIC SCHOOLS AND THE JAY COMMUNITY! 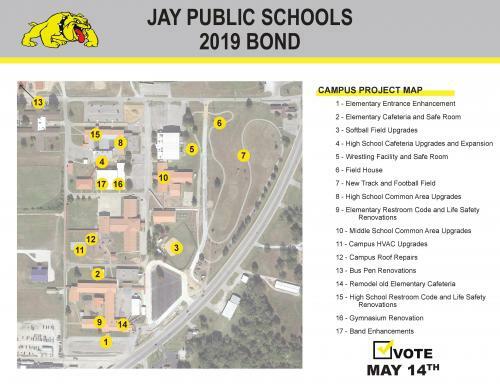 Jay Public Schools will be hosting an open house for anyone who would like to view the areas of campus that will be improved by the proposed 2019 bond issue. Additionally, deteriorating textbooks will be available for viewing. During the campus tour, please notice the lack of safe areas for students and staff members to take cover in the event of a catastrophic weather event. Check your child’s state test scores here! Oklahoma School Testing Program Parent Portal Overview. Login to your OSTP Parent/Student Portal here. Jay Public Schools will once again provide free breakfast and lunch to all students this school year. Encourage your child to take part in this daily! Athletic Season Passes Now On Sale!! 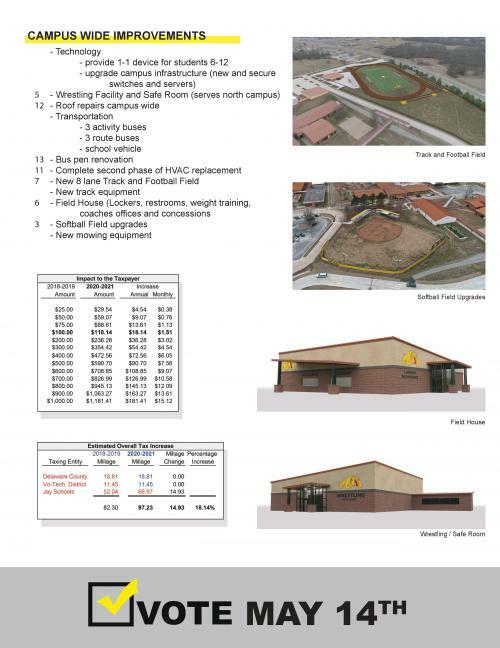 Season passes are now on sale and may be purchased at the administration building. Thank you for supporting the Bulldogs!! !